The growing season so far in many Minnesota corn fields has been almost poetic. Some stalks are nearly as high as an elephant's eye, but you won't hear many people use that song lyric to describe them. Instead they seem to prefer an old rhyme. 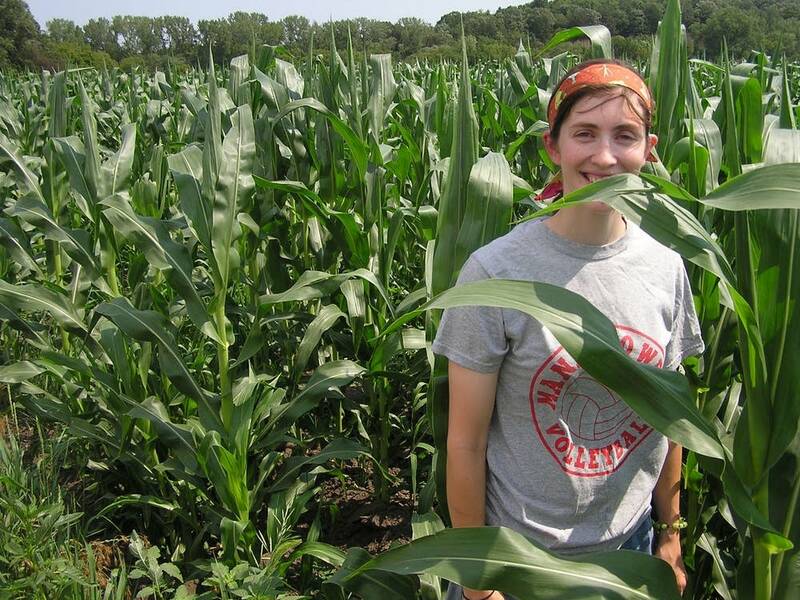 "Knee high by the Fourth of July," said Rachel Hollerich, a southern Minnesota farmer. On the day before the fourth, Hollerich repeated the well-known words while standing in corn nearly six-feet high — taller than she is. There's no clear explanation when, where or why the phrase started. But even with its uncertain origins, it sticks around as a simple rhyme that people love to say. Hollerich, who runs the organic farm Good Earth Mill and Grains with her husband Trent, said the phase doesn't mean what it did decades ago. Back then, "knee high by the Fourth of July" meant the corn was doing well and that a good harvest was in sight. But Hollerich said in her fields, describing corn as knee high on the nation's birthday would signify that something's wrong with the crop. "Knee high? Well, it's supposed to be probably chest high by the Fourth of July," Hollerich said. "And if it's knee high you're not sitting very good anymore." That the phrase has outlived its usefulness says a lot about how much plant breeders have improved the genetics of corn. They've been cross breeding the plant for more than a century to make it grow better. 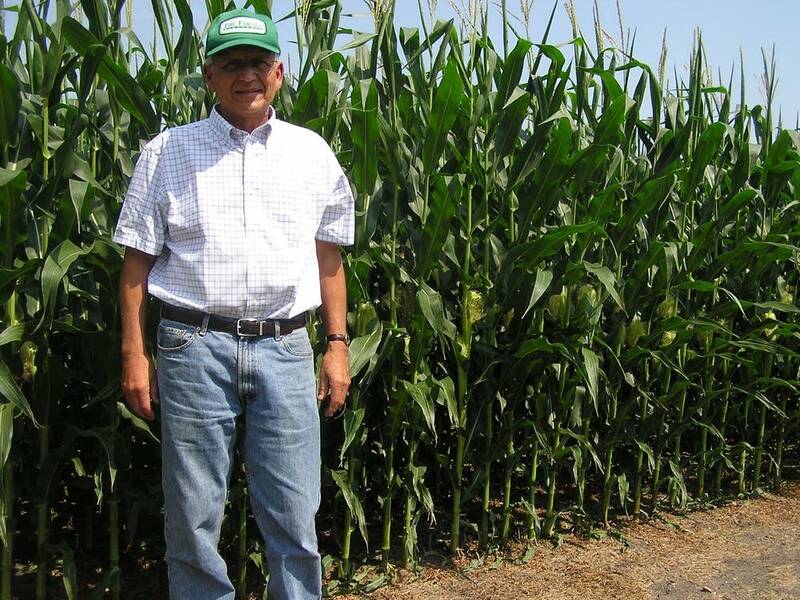 Better genetics make the days of knee-high corn in early July long gone, said Forrest Troyer, an adjunct professor of crop sciences at the University of Illinois. "We've made it much more stress tolerant," he said. Troyer, who earned his Ph.D. at the University of Minnesota, has worked in corn breeding all his life. He was awarded the university's top agriculture honor, the Siehl Prize, three years ago. Modern corn can flourish in conditions that might have stunted the plant in past generations. So in dry times or wet, too warm or too cool, the stalk generally keeps on growing and produces an ear. Troyer said that toughness is one reason farmers have been able to plant earlier each spring, often in less than ideal conditions. At 83, he can still remember something he heard as a boy that demonstrates the change. "My uncle said a long time ago that if he only had one day to plant corn he'd plant it on May the 20th," Troyer said. "Well, my gosh, now we're planting in mid-April." Earlier planting gives the corn more time to grow before July Fourth. The extra growing time means it's almost always well past knee high by the fourth. According to data from crop reports, the average height of Minnesota's corn crop was just over four feet on July 1. Some of the best fields are along the Iowa border, where Jackson-area farmer Kent Ringkob looks at corn that's at least a foot taller than he is. "This corn got a little stretching left to do but it's probably at a good seven feet already, and will probably make about eight," Ringkob said. The corn on Ringkob's Jackson County farm is already tasseling and putting on ears. He said that's a little unusual, but corn that is chest- to head-high on the fourth is not. He has the photos to prove it. "Our family's taken a picture of the corn on the Fourth of July I'd say since late '30s or early '40s," Ringkob said. 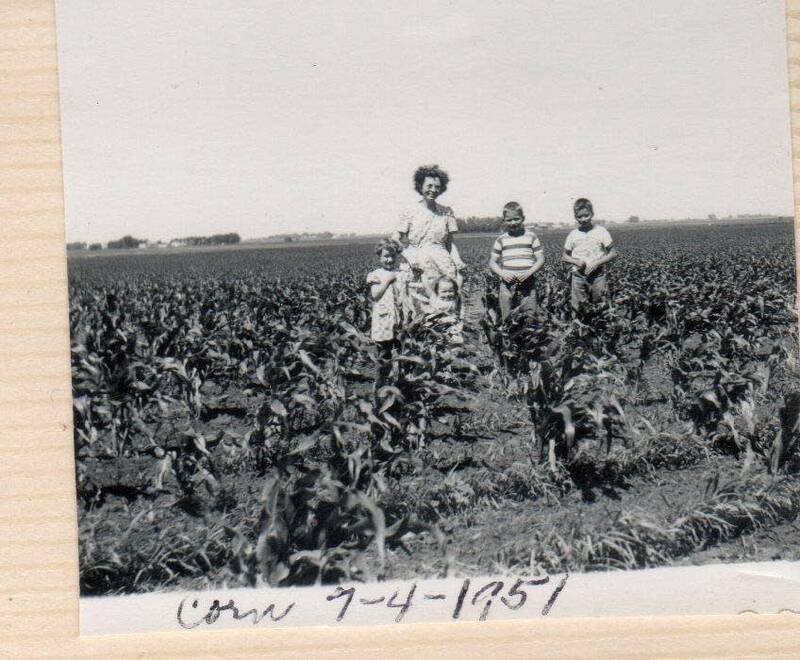 The photos show that even back then, in some years the corn beat the knee-high standard. Ringkob said the average height has increased steadily through the years. But he stills like the knee-high line, and he's got a theory about why it's stuck around. "Suppose it's got a nice rhyme to it, doesn't it?" Ringkob asked. Maybe that's the real value of the phrase — that it's been shared and passed down through the generations because it's catchy. Even though it's hardly ever true anymore, the rhyme lives on as art.